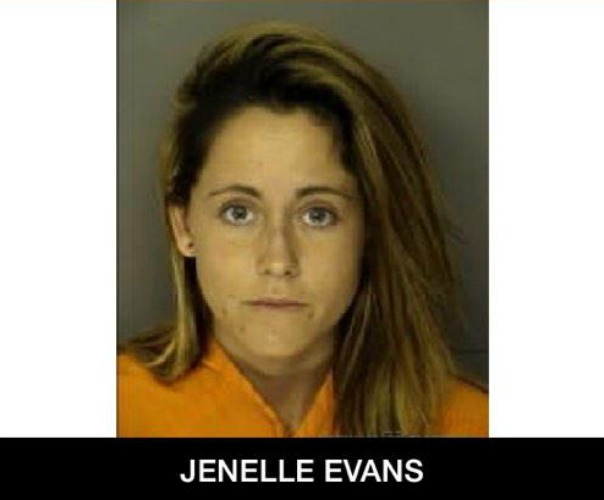 Jenelle Evans Arrested Yet Again! Jenelle Evans of ‘Teen Mom 2’ has gotten herself locked up yet again last night. The mother of 2 was picked up around 9:00pm on February 24th for driving without a driver’s license. She was quickly released on a $237 bond. Thankfully this arrest had nothing to do with drugs or alcohol (to my knowledge anyway). The reality star has managed to stay out of trouble involving those things since her 2nd baby boy was born. UPDATE: According to a friend Jenelle’s license was suspended recently due to a speeding ticket that Jenelle “paid 3 days late” back in 2013. She apparently had no idea that her license was suspended and has gotten everything sorted out! Previous Previous post: Catelynn & Tyler Share a Sneak Peek Inside Their New Memoir! Read it Here! why in the hell would you drive without your driver license!!!!! Common since jenelle!!!!! Boo-hoo-hoo…..poor Janelle….poor ‘stupid’ Janelle !! I’d say she’s had her ‘break’ , over and over again… lock her arse up for a couple of years, break-time is over !! !